Finding friends has never been an easy task for me. My sister has always been the popular one in the family, the one with weekend plans every single week, with tons of friends... Me, on the other hand, not so much. I've been kind of a loner for most of my life, I've had to learn how to be okay with that and how to keep the few friends I have. The answer that I find most convincing is this: be a good friend. No matter what, always try hard and be a good friend, don't be a jerk, help out when others need you, care about others. I believe that friendships are the most important kind of relationships and if we mess that up, we're really screwed. 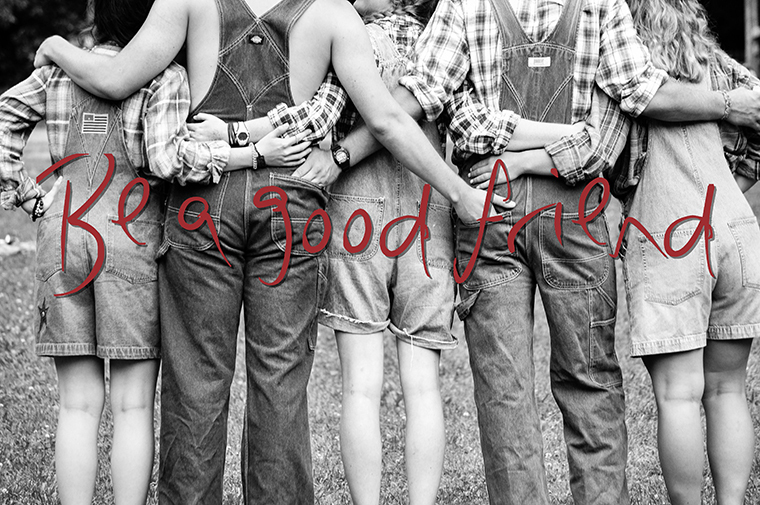 Being a good friend is easier than it seems, it's about spending time with others, paying attention, sharing and caring. The thing is, not everyone is aware of that... So, next time you go to bed think about it: have you been a good friend lately? // Hacer amigos nunca ha sido fácil para mí. Mi hermana siempre ha sido la popular de la familia, la que siempre tiene planes de fin de semana, con muchos amigos... Yo, por el otro lado, no tanto. He sido solitario por la mayor parte de mi vida, he aprendido cómo poder estar bien con eso y cómo mantener a los pocos amigos que tengo. La respuesta que encuentro más convincente es ésta: sé un buen amigo. Sin importar nada, siempre esfuérzate y sé un buen amigo, no seas malvado, ayuda cuando otros te necesiten, que se vea que te importa. Creo que las amistades son las relaciones más valiosas y si arruinamos eso, estamos muy mal. Ser un buen amigo es más fácil de lo que parece, se trata de dedicarle tiempo a otros, poner atención, compartir y demostrar interés. La cosa es, no todos están conscientes de eso... Así que, la próxima vez que vayas a dormir, piensa en esto: ¿has sido un buen amigo últimamente?